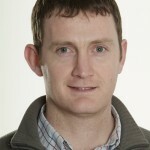 I just listened to an excellent interview of physical therapist and back pain researcher Kieran O'Sullivan at the PhysioEdge blog. Kieran is part of the group at Pain.Ed, which also includes Peter O'Sullivan, who is, by the way, featured in a very cool video I discussed here. (In case you are wondering, there are several group members not named O'Sullivan.) The stated mission of Pain.Ed is to "translate the scientific evidence about pain to both the public and health care practitioners." That is also one of the missions of this blog and my recent book, so I am very interested in what they have to say. Kieran's interview is great to listen to because he is very well informed and discusses a wide variety of interesting topics, all in a way that is very humble and easy to understand. Plus he has a cool accent. So I strongly recommend giving it a listen. Or, if you don't have time, here is a summary of points I found particularly useful. O'Sullivan said it is useful to distinguish between "simple" pain, which is often easier to treat with biomechanical approaches, and "complex" pain, which goes far beyond "issues in the tissues" and is more challenging to treat. The two categories are not mutually exclusive, but there are some factors that distinguish them. Imagine a client who is healthy, does not have anxiety or depression, or problems with sleep. His or her pain is related to movements, such as sitting, standing, turning or bending. The pain is localized to a particular area and hasn't persisted for a long time. It is likely this client will be helped by interventions that seek to change movement. That is because the primary input causing pain is probably peripheral nociception, and this can be affected through changing movement behavior. On the other hand, imagine a client with poor general health, issues with anxiety, depression or sleep, widespread pain in many locations that has persisted for a long time, and which does not change very much with movement. It is more likely this client will not be assisted very much by manual therapy. This is because the pain is likely maintained by central sensitization and psychosocial issues. In this event, it is appropriate to direct more attention to working to reduce anxiety, depression, catastrophization, and making basic lifestyle changes related to sleep, exercise, stress and diet. Most chronic pain probably shares some elements of each category, and can be placed on a spectrum between simple and complex. Thus, there is probably always at least some role for all the different kinds of interventions, but we need to be mindful of which ones are more likely to work on which kind of client. The biomechanical approach might barely scratch the surface of problems that cause complex back pain. Clients with complex pain are poorly served by interventions that are limited to biomechanics, and these may even make things worse. Early in his early career, O'Sullivan looked at most of his clients from the biomechanical perspective, and thought if he found the right place to push, pull, stretch or strengthen, people would get better. But that didn't always happen. O'Sullivan made the interesting observation that we tend to see what we are looking for. When he did a course in sacroiliac assessment, for some reason it looked to him like all his clients had a sacroiliac dysfunction. After a Mackenzie course, people kept coming in with disc derangements. After learning more about trigger points, he saw them everywhere. O'Sullivan spent time talking about how back pain beliefs can be part of the problem with complex pain. They can increase anxiety, stress and catastrophization, discourage exercise and movement variability, and prevent "buy in" on helpful programs to alter lifestyle. One study found that the best predictor of who responded to a program for reduction of complex back pain was level of concern about structural causes of back pain. In other words, the people who were still talking about getting surgery, problems with their disc, or their MRI results got poorer results. The people who "got it" did better and were more focused on making lifestyle changes like improving their sleep, stress, exercise, etc. For some reason, there is a stigma associated with the discussion of how stress affects pain. It is very easy for us to discuss the idea that stress can contribute to heart disease or stroke. But we would not describe a stroke or heart attack as a "psychosomatic" issue. Unfortunately, this is exactly the way many people look at pain that is related to psychological factors. Patients with this type of pain might feel unfairly stigmatized, as if there pain is not real, or it is their fault. Saying that "pain is in the brain" may be physiologically true, but it is a problematic phrase to use in a thirty second sound bite with a client. It sounds like "pain is in your head", which assigns blame and discounts the realness of the pain. When we try to educate clients about the cause of pain and rationale for treatment, what they hear might be very different from what we actually say. O'Sullivan makes an effort to figure out exactly what his clients have heard, by asking them at the end of a session what they understood, or what they will tell their family. Pathological and incorrect beliefs about the causes of back pain are like swine flu – they are very contagious and can be caught anywhere - from friends, family, and unfortunately, even from well-meaning medical professionals. Thus, you need to be very careful about what you tell clients about your findings and the rationale for treatment. They can easily get the wrong idea. One of O'Sullivan's former clients thought her pain was the result of "having a vertebrae", which she thought was like a tumor. Each client has a unique set of beliefs and experiences, and needs a different kind of story or metaphor to get a better understanding of their condition and/or dispel unhelpful beliefs. This is part of the reason why you need to listen to their story. One important law of learning is that people don’t argue with their own data. So if you can want them to understand something about the nature of their pain, it is useful to refer to their own experience, as opposed to data collected in research papers. O'Sullivan used the example of a woman who believed her back pain was caused by her feet. She reconsidered when O'Sullivan pointed out that her pain was worse in sitting than standing. If improving complex pain depends on lifestyle changes like sleeping better, doing more exercise and reducing stress, manual therapy will not be the major priority over the long term. But it can provide temporary pain relief which creates hope and buy in, and provides a window of opportunity to make changes. Manual therapy can be problematic in complex pain if it makes pain worse, or is explained to a client in a way that encourages false beliefs about back pain. Hands on assessment can be an effective way to show clients that you are able to locate their pain and understand that it is real. It can also be the basis for educating them about the sources of pain and possible solutions. For example, by palpating sore places you might be able to show the client that pain is in the muscles, as opposed to scarier structures like discs or vertebra. If massage makes them feel better, they can be convinced that reducing stress, or altering movement behavior to reduce tone in the muscles is an effective way to treat pain. Hands on assessment can also help show that the source of pain is not a local structural problem, but a generalized hypersensitivity of the central nervous system. For example, if a client believes his back pain is related to a bulging disk, palpation in distant areas can show that sensitivity is widespread, indicating a problem that is more systemic than local. O'Sullivan discussed his research on sitting and pain. Here are some notes. Rates of back pain are on average not very different between populations that sit more or less, or in different kinds of chairs. But for some individuals with mechanical pain, avoiding provocative positions may be helpful in reducing pain. The right sitting posture for one person is not necessarily the same as for another. Posture is somewhat genetic, and studies show that postures of teenage girls can be predicted by looking at mom's posture. Varying sitting posture throughout the day is probably better than trying to retain one optimal position. Reducing protective muscle tension is also a good idea. The idea that we have to maintain an optimal position throughout the day will increase tension and stress, and reduce the variability and relaxation that may help with pain. General exercise helps improve general health, and also mood, anxiety, depression and stress. Thus, it may be just as effective as psychological interventions in improving these important variables. All forms of exercise have potential benefits. The exact type of exercise is not as important as actually getting it done. O'Sullivan encourages his clients to find an exercise that doesn't provoke pain, that is enjoyable, and that can be done regularly at an appropriate dosage. The best exercise program is the one you show up for. Thanks to Kieran and PhysioEdge for the excellent interview. For the full thing, give it a listen here.